Backordered will ship by 06/15/2019. The DS1125 infant measuring rod provides an accurate measurement tool that can be moved to the patient or mounted on a wall or pediatric examination table. 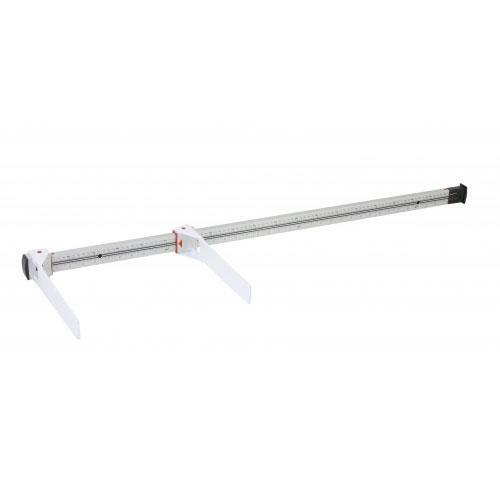 Precision engineered and constructed of heavy gauge aluminum, the Doran Model DS1125 infant measuring rod will deliver accurate height readings for years and years. Simply flip the measurement arms away from the measuring rod and slide the measurement arm into postion. The patient’s length is highlighted with an easy to read, bright red line. Marked in millimeters and inches, the Model DS1125 infant measuring rod can be used to measure adult or pediatric patients.